Remarks: There is little sense here following my usual format for these reviews, so I'll just write what comes to mind. I had a Carrera race track as a kid and though I wasn't as into it as other boys my age, I still liked driving those little cars around the track. Well, mostly I liked driving them so fast that they flew off the track, but that's another subject matter. Anyway, it's a safe bet that quite a few people my age (and probably quite a few younger and older ones, too) had a race track like this when they were little. The Transformers MicroscaleXtric race track barely differs from the one I had as a kid as far as the actual race track goes. The technology is the same, the track pieces are pretty much the same, and the game is the same, too. Driving little plastic cars in circles. The plastic cars can transform (of sorts), meaning a more-or-less robotic body folds up from the car. That idea isn't new, either, though, as both Transformers and their competition, the Go-Bots, had similar race tracks with transforming cars back in the 80s. The cars can drive in their transformed states, too, though they keep nudging each off track because they're broader in this form. Then again, maybe that's the idea. The update is in the looks, of course. The track comes with a big 'playing field', featuring Bumblebee and Barricade as they appeared in the Movie. The track pieces feature Autobot and Decepticon logos, as well as the Sector Seven sigil. The plastic cars are Bumblebee and Barricade, of course, and manage to look quite a bit like the actual characters (more in car than in robot mode). 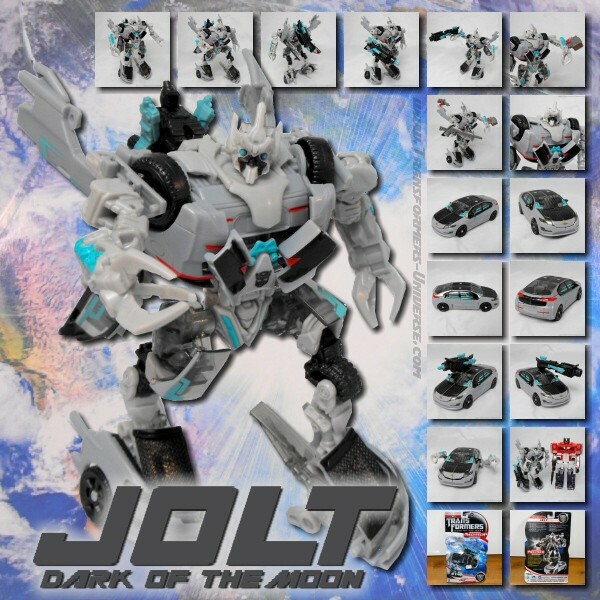 All in all this should be a pretty cheap marketing gag, dressing up a rather dated toy in modern trappings and selling it to fans of the Movie. But what can I say? It works. I saw this thing in the toy store and was hit with the double whammy of childhood nostalgia and Transformers fandom. I had to have it. And the day after getting it I put it up in my living room and roped my wife into playing. We ended up driving for over an hour, laughing all the way, sending the plastic cars around and around and into each other and off the track. It's stupid, it's outdated, and it's oh so much fun. Oh, and it drove our cat nuts. Bottom line, if you had a Carrera race track as a kid, you just gotta have this thing.